Denise Jaques is an award winning artist. She uses shimmering glass and mosaic tiles to create beautiful pieces for the garden, the home, and to wear. She is fascinated with the journey of experimentation and excited by the unknown destination. Her work has a strong sense of colour, pattern and rhythm and plays with the idea of distorted reflections. 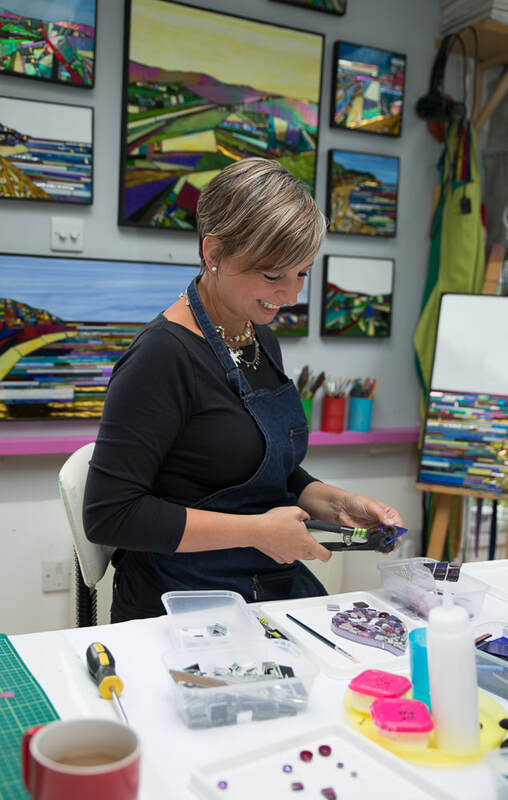 Denise runs regular mosaic workshops from her studio in Farnham, Surrey, and is a member of BAMM (British Association for Modern Mosaics). ​Denise is the winner of Surrey Artist of the Year 2016.